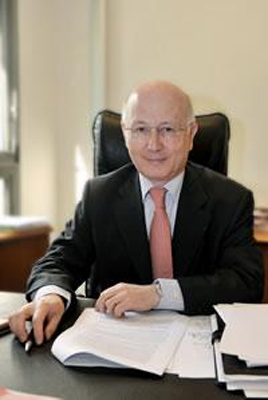 The French government has just named Charles Coppolani as successor of Jean-François Vilotte, the outgoing president of the French online gambling regulation authority (ARJEL). According to media information published in January, two nominees were in the running for the position, namely Coppolani and the State Councilor Maurice Meda. The verdict has finally fallen and the decree which stipulates the naming has been released in the Official journal. The new leader of online poker watchdog and sports betting on internet occupied previously the post of chief of staff of the economic and financial general control. He is stemming from the Institut dEtudes Politiques of Paris and from the Ecole Nationale dAdministration (ENA). Coppolani has also a degree of public law. These high-level training and his experience have certainly weighed heavy in the balance in his choice. However, the task looks particularly difficult. In fact, the new president has for mission to improve a market in full decline. Besides, considering the results carried out by the Observatoire des jeux (ODJ) and the Observatoire Français des Drogues et Toxicomanies (OFDT), Coppolani still has to carry out a relentless fight against illegal gambling and games addiction. The report published a week ago revealed that the half of gamers, especially enthusiasts of online poker continue to play on non-regulated websites. Among the main reasons which push them to do so, there is the lack of competitiveness in legal websites, and also the restriction of offers. Effectively, let us note that Texas Holdem and Omaha are the only variants of poker authorized in legal online poker rooms of the French market.